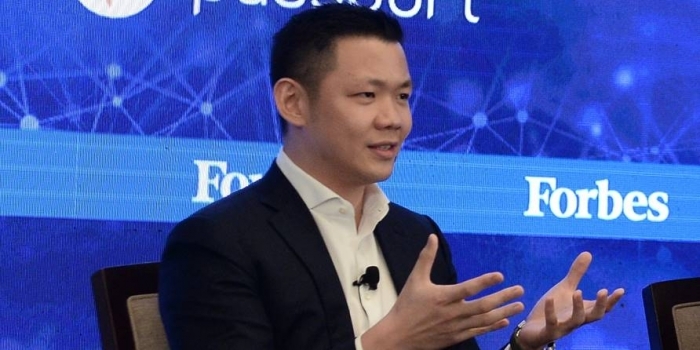 APRIL is known by its customers and suppliers as one of the world’s leading pulp and paper players—leveraging on technology and innovation to continually improve its operations. What most consumers do not get an opportunity to see, however, is the process by which trees are cultivated from seedlings to paper, as well as the whole suite of community development programmes that APRIL provides to its workforce, their families, and the villages surrounding its operations. 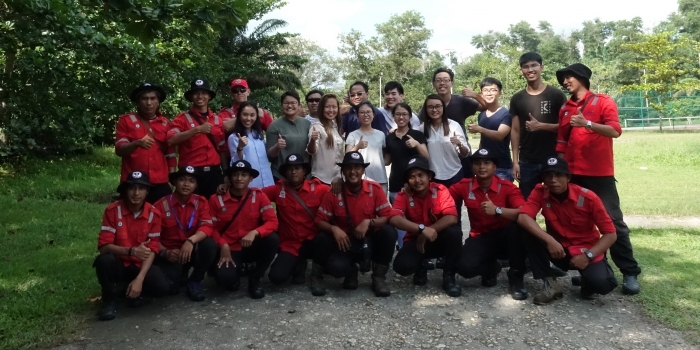 On a bright and breezy June morning, a group of volunteers and youths from the Global Compact Network Singapore (GCNS) and Yale-NUS got to see just that and more, when they visited Pangkalan Kerinci, the heart of APRIL’s operations in Riau, Indonesia. 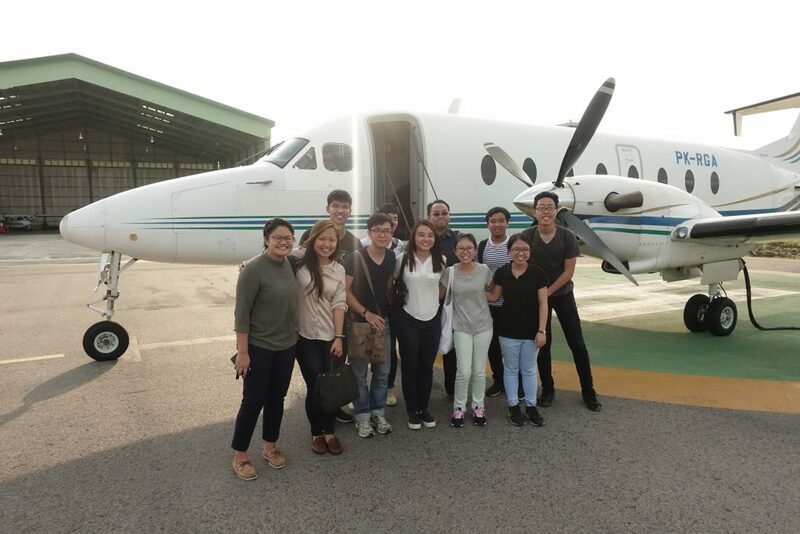 If you didn’t take a photo, it didn’t happen – our visitors taking the mandatory shot with the private plane. 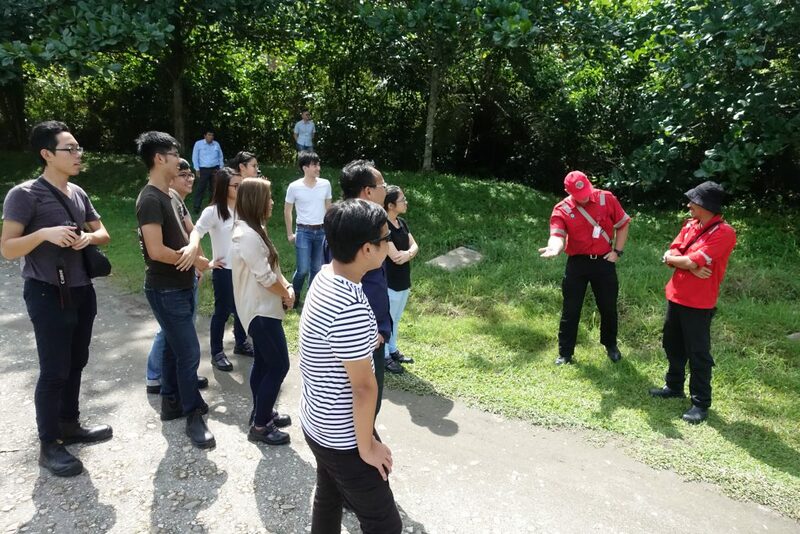 The natural resource-rich hinterlands and expansive plantations—unfamiliar sights to most Singaporeans—provided a rich canvas from which to learn about the fascinating world of forestry. 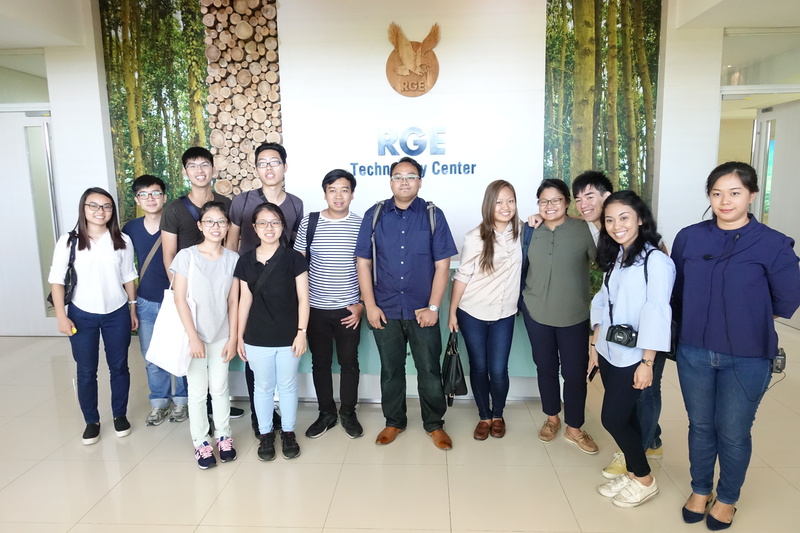 The visitors—all of whom were avid enthusiasts of the environment—started their visit at the RGE Technology Center, a world-class research facility that represents APRIL’s commitment to sustainable growth through science. Here, the youths were brought on a tour of the company’s history and were provided with a primer on the paper-making process from start to finish. At RGE Technology Center, our visitors were introduced the fascinating world of forestry. A presentation by APRIL’s resident fire expert Craig Tribolet on how the company is changing its approach to fire management today, from combating fire to preventing fire, through the Fire Free Village Programme, as well as a candid discussion on some of the challenges faced, provided much food for thought, while a demonstration by APRIL’s fire fighting team gave everyone a glimpse of the often complex conditions of fire fighting. 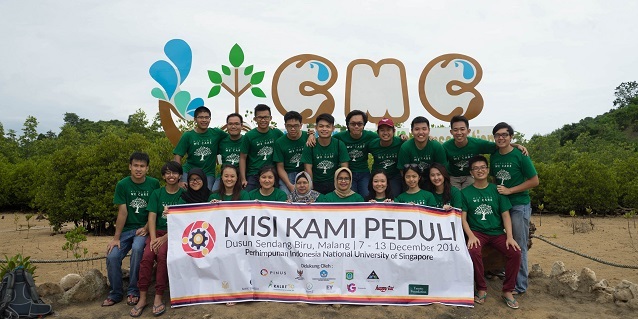 Other highlights of the tour were a visit to Kerinci Central Nursery and APRIL’s paper mill. At the nursery, the visitors witnessed the vast amount of resources and research being put into producing high-yielding seedlings and sustainable growing methods. At the mill, the visitors were amazed at the scale of APRIL’s paper operations. The day trip was not confined to APRIL’s business operations though. 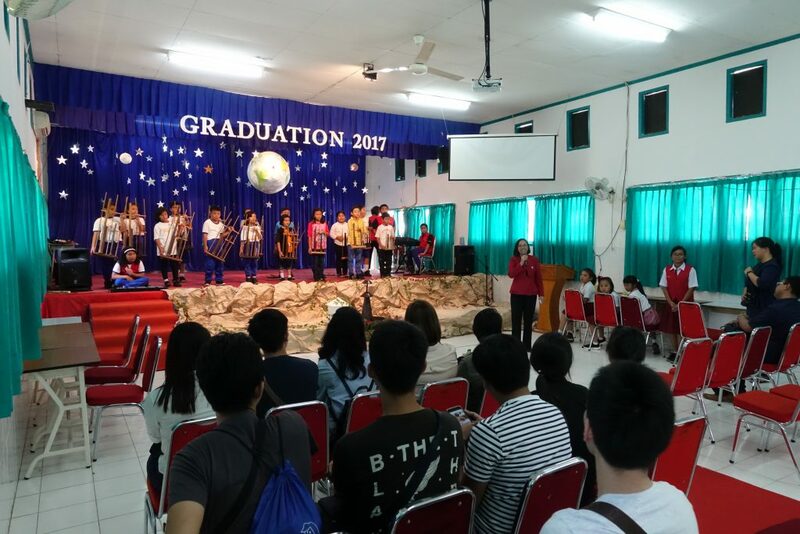 The guests were also hosted by student leaders from the APRIL-supported Sekolah Mutiara Harapan—Sumatra’s third International Baccalaureate academy, and were brought to APRIL’s community development centre, which supports members of the community with skills that improve their livelihoods. “Seeing the entire process, the amount of effort, technique, and science that goes into making the paper is really quite interesting. 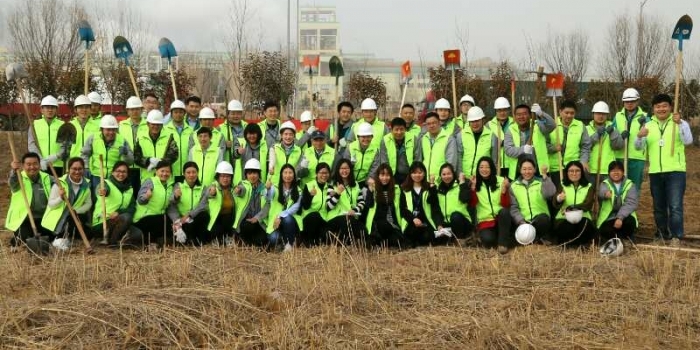 As consumers, we rarely think about how things are made, but to see the effort that a company such as APRIL has made to run its operations sustainably, and to include the community in its growth, is encouraging” Mayshan Mashita, Assistant Manager at GCNS. For more updates on the trip, stay tuned for guest editorials in the coming weeks.